After a fabulous season in which Kilmarnock FC were taken to new heights by Steve Clark, the Killie board have followed suit and continued their support and development of the Club. Part of these new plans involved the transformation of the existing Executive Club into the new Champions Lounge, as well as a new reception area and staircase, along with the Chairman’s Club and Boardroom. Concepts and plans were agreed with local architects Thomson Hunter Architects, and Worksmart Contracts LTD secured the contract to carry out the work. With a history of local success in Interior Fit outs and refurbishment transformations, Worksmart were selected to take on the projects during the close season with tight commercial budgets and even tighter programme timescales. From the beginning, Worksmart stated that for the works to be a success, there had to be a positive and engaging client, architect and contractor, something that was achieved from start to finish. This was a fabulous project for the Worksmart Team to be involved in. The local apprentices, joiners, partnering sub-contractors and material suppliers all took up the challenge and worked successfully alongside the Kilmarnock Board of Directors, staff and architects, completely refurbishing all areas to an exceptionally high standard of corporate hospitality. Thomson Hunters Architects Partner Andrew Hunter stated: “Thomson Hunter Architects have recently been involved in delivering a successful fit-out project at Kilmarnock Football Club for the new Chairman’s Club and Champions Lounge. Worksmart Contracts were chosen as the preferred contractor to deliver this complex project within a limited timescale. Their experience in this field set them apart from their competitors and gave both the client and ourselves confidence that they were the right team for the job. 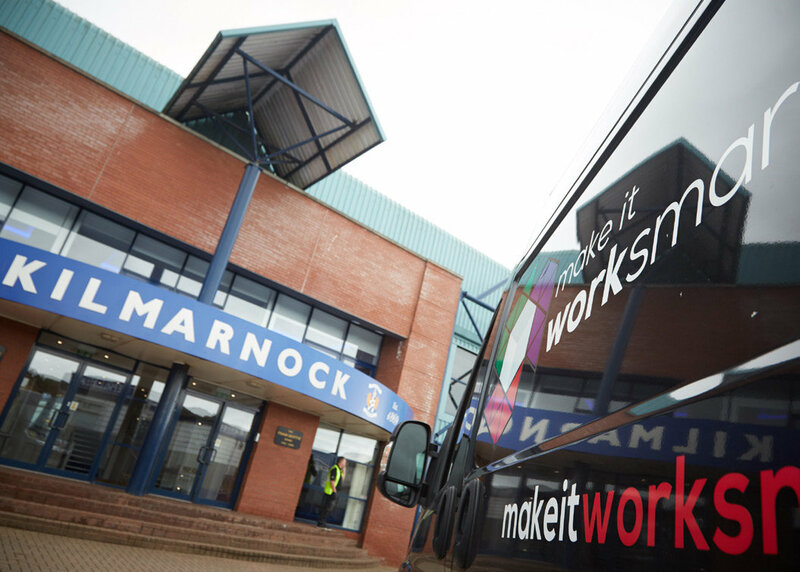 The Kilmarnock Football Club Board stated: “Worksmart Contracts were appointed to undertake the major refurbishment of two of our hospitality lounges within the stadium of Kilmarnock Football Club. There was a requirement to complete the work within a two month period to coincide with the start of the new football season. “Worksmart Contracts not only completed the refurbishment within the timescale allocated, the standard and quality of their work was exemplary. Throughout the process, communication was excellent and any matters which arose were dealt with timeously. 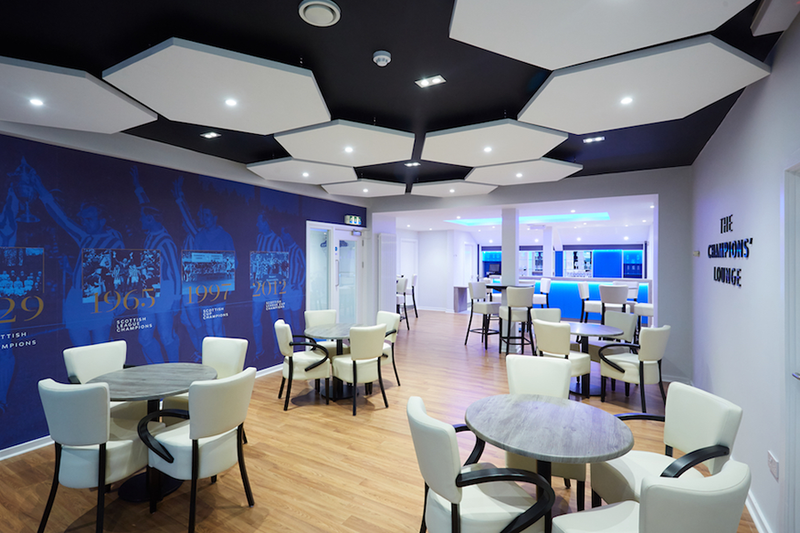 “Thomson Hunter Architects have recently been involved in delivering a successful fit-out project at Kilmarnock Football Club for the new Chairman’s Club and Champions Lounge. Worksmart Contracts were chosen as the preferred contractor to deliver this complex project within a limited timescale. Their experience in this field set them apart from their competitors and gave both the client and ourselves confidence that they were the right team for the job. Throughout this project and others working with Worksmart, Steven, Lisa and the team have provided a professional, proactive and diligent service.